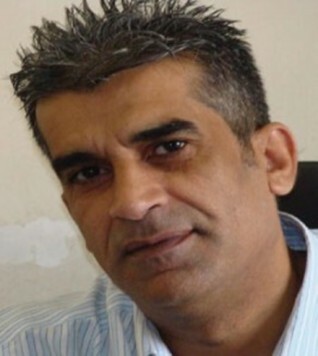 PEN International and the Gulf Centre for Human Rights (GC4HR) condemn the dismissal of journalist Ahmad Abdulhusain from his work at the Iraqi Media Network (IMN) which is a government holding company. On 25 July 2018, the head of the IMN issued an administrative order terminating Abdulhusain’s services as an editor-in-chief, after he refused to sign a pledge not to criticize senior government officials. "I will refrain from signing this pledge because it is a violation of my freedom and represents a repression of opinion," Ahmad Abdulhusain wrote on this pledge. He added: "What I wrote was not a publication in the Network but on my Facebook page." "Authorities in Iraq should respect the right to free speech for all Iraqi citizens including human rights defenders who could be lawyers, writers, journalists and Internet activists"- said Khalid Ibrahim, Executive Director of the GCHR. Ibrahim added: "In this particular time we demand an immediate end to repression and protection of public freedoms." PEN International and the Gulf Centre for Human Rights express their deep concern regarding the arbitrary dismissal of a journalist due to his peaceful expression of his opinion on social media, which stifles dissenting voices and risks chilling the free expression climate. “The dismissal of the journalist Ahmad Abdulhusain is violating his rights to freedom of opinion and expression. Especially when it comes to criticizing public officials, restrictions on free speech must be applied with the utmost restraint,” said Ebony Riddell- Bamber, Director of Advocacy and Campaigns at PEN International. Ensure that all human rights defenders in Iraq, including writers, journalists and bloggers are able to work without facing undue restrictions.